Airbus Group SE said it would shed as many as 1,164 positions in a companywide belt-tightening that will merge its corporate headquarters with that of its commercial-jetliner unit. Airbus, the maker of A380 superjumbo planes and the popular A320 single-aisle jetliner, announced the job cuts to its labor groups on Tuesday. The Toulouse, France-based company in September announced plans to restructure in the latest of a series of steps to boost profitability. At the time it disclosed the plans to integrate headquarters functions, though didn’t say how many jobs might go. In September, Airbus Chief Executive Tom Enders said the restructuring would yield significant savings, quicken decision-making and narrow a profitability gap with rival Boeing Co. Both companies are scrambling to deliver planes to customers after racking up record sales. Airbus, which employs 136,000 people, also said it would transfer 325 positions, in part as it completes the relocation of headquarters staff from the former centers in Paris and Munich to Toulouse. Another 230 positions would be created to help the company embrace digital technologies. 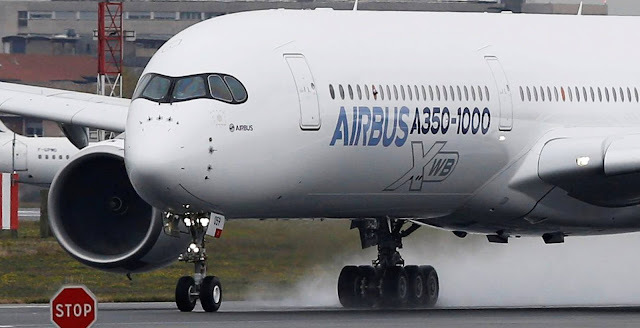 The positions being eliminated are mainly in support and office roles, Airbus said. The job losses will be pursued through a combination of measures, including voluntary departures, redeployments and early retirements, the company said. It hopes to wrap up talks with unions by mid-2017. “The integration will ultimately strengthen Airbus in its ability to ensure future competitiveness and to remain a global leader in the aerospace industry,” Mr. Enders said Tuesday. The company said it didn’t yet know what costs might be associated with the restructuring. The initiative is part of Mr. Enders’s four-year campaign to reshape the business in the wake of the failed attempt in 2012 to merge with BAE Systems PLC, Europe’s largest arms maker. After the deal with BAE faltered on German government opposition, he won shareholder backing for a new structure that reduced French, German and Spanish government involvement in company decision-making. The old structure was a legacy of the founding of the company in 2000 through the combination of European aerospace and defense assets. As part of this year’s revamp, Fabrice Brégier, who runs the jetliner unit, will serve in the newly created role of group chief operating officer, responsible for supply chain and other functions to underpin the combination of the airplane and group activities. Rival Boeing, too, has been restructuring under Chief Executive Dennis Muilenburg, who took the top job last year after running the Chicago-based company’s defense business. Mr. Muilenburg has refreshed Boeing’s executive ranks, promising growing margins for the commercial airplane and defense units. Earlier in November, the Chicago-based plane maker said Kevin McAllister, a General Electric Co. executive, was replacing Ray Conner as head of its commercial airplane business.